Howard Halford has been a leading REALTOR® in Lubbock for almost two decades. 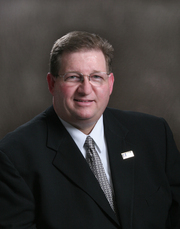 He is very active in the Lubbock Association of Realtors®, having served as Director, Treasurer, and President. He is also active in the Texas Association of Realtors® and has served on several state committees. He is a member of the National Association of Realtors® and serves on committees at the national level. He stays up to date on all real estate issues by attending many continuing education courses throughout the United States. He has attained his Graduate Realtor Institute designation, Accredited Buyer Representative designation, Certified Residential Specialist designation, and Certified New Home Specialist designation.